As it was the same as a genuine product, it could be used with confidence. I will also order. This review is about item#10773576. Made of NTN with peace of mind. Other sizes are necessary and it is understood that it is not manufactured by inquiry and it is planned to process the shaft side and use it. Since there are several parts, I purchased several bearings. This review is about item#8773527. I purchase it at any time and use it. You can use it with confidence. Sincerely. This review is about item#10773454. I used it instead of the bushing fixing the swing arm pivot of the Banban 200. It is 2 mm longer than the bushing, but there is no problem. The ride dramatically changes. The feeling that the rear tire escaped to the outside when banked decreased, and it became possible to enter the corner with increasing the speed more than before. It is recommended. This review is about item#10773357. This review is about item#10773436. This review is about item#08773396. Shipment is also early, it is cheaper than buying at other stores and it is satisfactory. This review is about item#10773481. 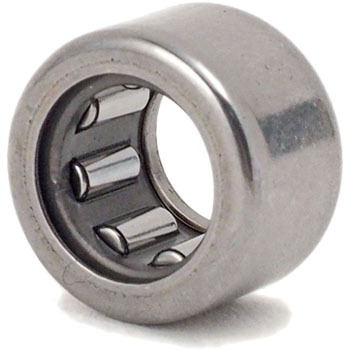 I bought it to replace the bearing for the swing arm of the motorbike. Because the price is cheaply cheaper than genuine parts, there was also an uneasy part whether it was overseas products, but I was relieved because it was made in Japan. This review is about item#10773375. We will sell these fine parts in units of 1, so it will be saved. You do not have to raise the price, do you? This review is about item#8773396.